Stomach burn, heartburn, or acid reflux is quite common among runners of all fitness levels and training backgrounds. Nonetheless, getting a heartburn while running can put an end to a workout at the very least, make it less enjoyable. In fact, the last thing you want is a heartburn outbreak while you are running. I got you covered, buddy. The good news is that there is always something you can do to deal the burn. That’s why today, dear reader, I’m sharing with you a fool-proof system that can help you deal with this problem with ease. But before I delve into the ins and outs of prevention and treatment, let’s first take a look at what cause in the condition in the first place. Also known as gastroesophageal reflux disease in the medical circles, or GERD for short, heartburn is a condition in which acids used for digestion in the stomach backs up into the esophagus—the food pipe—causing irritation in the process. This happens when a band of muscle at the bottom of the esophagus, known as a lower esophageal sphincter, or LES for short, becomes too weak or too relaxed, giving space for stomach acid to escape into the esophagus. This often results in burning sensation in the chest or throat, regurgitation, bad breath, trouble swallowing, and many other symptoms. Running, and exercise, in general, can reduce the risks of developing GERD by getting in shape and helping maintain a healthy weight. Nonetheless, this condition can sometimes interfere with your running routine. 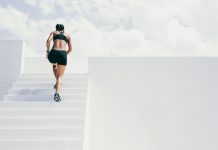 The truth is, if you do any intense running, or are already an elite athlete, you are at risk for GERD flare-up as a result of your training intensity. According to the American Gastroenterological Association (AGA), these are some of the most common triggers of exercise-induced heartburn. Heartburn can also be traced back to certain food—mainly acidic foods like coffee, orange juice, alcohol and carbonated sodas, spicy foods like tomato sauces and the like. Other common foods that trigger the condition include fatty or fried food, vinegar chocolate, tomato products, and citrus fruits. 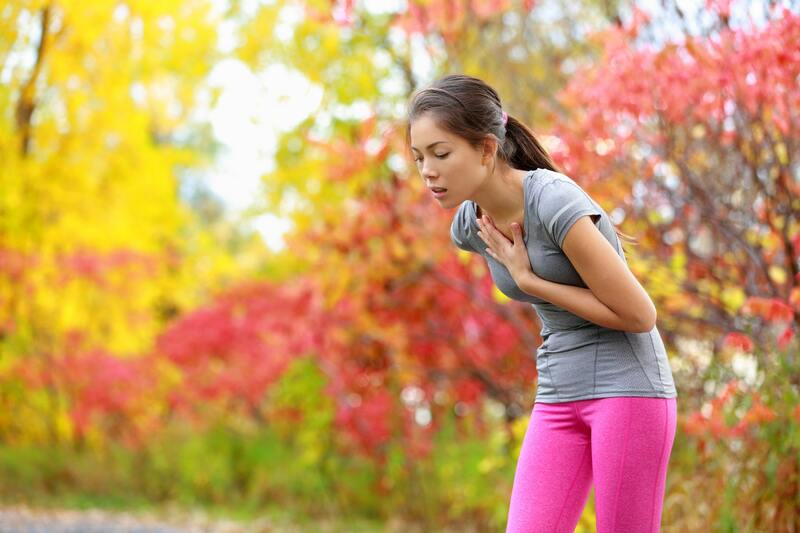 Running, and other forms of exercise can trigger heartburn if the lower esophageal sphincter is too relaxed or weak. 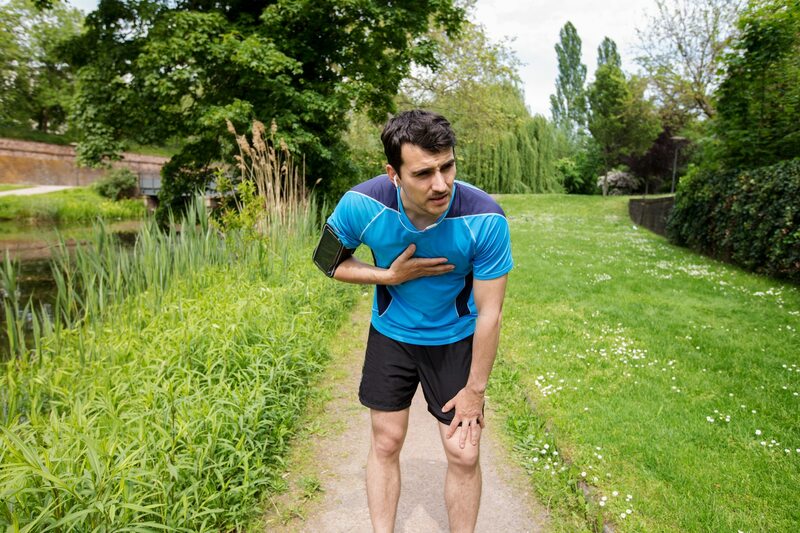 If you have a bad history of the condition, then a heartburn outburst is more likely to get triggered during exercise. In fact, people with a bad history of the condition might experience worsened symptoms during running. Here are some of the precautions you need to take to keep this unwanted guest away from your premises. 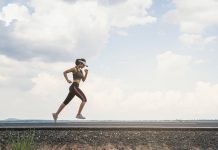 Whether it’s premature fatigue, IG issues, stomach discomfort, or heartburn, what you eat just before going for a run has a huge impact on your running performance and training enjoyment. That’s why you have to be careful about what you put in your mouth in the hours before a run. I highly recommend that you go for something that’s low in protein and fat while high in carbs. But all things considered, the best (diet) course of action is to try out and experiment with different foods till you find something that works the best for you. Then, stick with that for the long haul. If you just want a quick boost of energy before heading out the door, then try a simple snack. Some of the best options include eggs on wholegrain toast, strawberries with honey, Greek yogurt, or banana with peanut butter. Or a small bowl of whole grain cereal. Please, make it a rule of thumb of never running shortly after a large meal. In other words, do not run on a full stomach. Instead, give your digestive system enough time. That might take up to two or more hours. Also, play with how long before you run to run to consume the right snack and/or meal. It could be an hour, two hours, three hours before a workout or. DO NOT consume any food that boosts the risks of acid reflux. As I have already stated, certain foods can trigger heartburn, therefore, you are better off not eating them at all—especially before a run. As a general guideline, avoid the Four C’s. This includes Citrus, Caffeine, Carbonation, and Chocolate. Please do your running routine a favor and avoid these before working out. Also, avoid any food that’s rich in fat before a hard workout. This goes without saying, but if you are serious about ensuring proper digestion and athletic performance, you have to keep your body well hydrated. Water can help you naturally cleanse the esophagus, and might even help fight it off, or minimize the symptoms, in the case of a flare-up. Also, if you already have a bad history of the condition, you might want to steer clear of sports drinks. In fact, athletes who opted for sports drinks during training suffered from more episodes of heartburn than those who drank water, according to research. For some people, over-the-counter meds can bring some relief to the condition. Therefore, if the heartburns are interfering with your runs, then head to your local pharmacy and see what options you have. Some of the best over-the-counter meds include Zantac, Tums, and Pepcid. For more severe symptoms, you might need a prescription from your doctor. Also, talk with your doctor and discuss other treatment options for your acid reflux. In my experience, understanding and dealing with the root causes is what works the best for the long haul. In the case of serious heartburn or chest pain, you’d need the help of a physician. So, seek medical help if you are suffering from intense chest pain, whether it’s running induced or not. In most cases, heartburn is indistinguishable from heart-attack induced pain. In fact, that’s why many people who have suffered from serious heart problems have, more often, mistaken a heart attack for just a little heartburn. Whatever you do, DO NOT stop running. You have to keep exercising. Do not let heartburns interfere with your consistency. In fact, you stand a lot to gain by running with heartburn than living a heartburn-free life as a couch potato. As you already know, running has a lot to offer. It can help you get in shape, relieve stress, improve stamina and so on. For more running benefits, check my two posts here. So please do what you have to do to deal with the condition, but do not stop running.